As an owner of a current Focus, i have tp agree. Teh focus as such is already among the widest offerings in it's segment, and up front it is really feeling spacious, if it wasn't for the very wide front console, that also eats more in the driver leg room than others because of it's shape. Yes, the facfelift did imprive things a little, but there is just so much you can do with a slightly reshaped console. Also I agree that around the back the sloping roof and slimming greenhouse make it more of a "not space efficient design" (though IMO still 4 are seated fine, because the rear seats are more comfortable than average form shape, size and thickness) than a question of "too small on the outside"
I think the interior width up front is fine, they just need to reshape the console/center stack. I had a Focus as a rental a month or so ago and did a decent amount of driving in it. Great car, but the center console design wastes so much space and is overly bulky. I have a Mk2 Focus (the one that was skipped in the US & Canada), and it has the same issues, the wide console and slimming of the greenhouse/body, i'm surprised Ford didn't fix it on the Mk3. Since the Mk2 has no rear hips and it appears to have a narrower rear track than the Mk3, it's more obvious that the body tapers and gets narrower after the b-pillars. 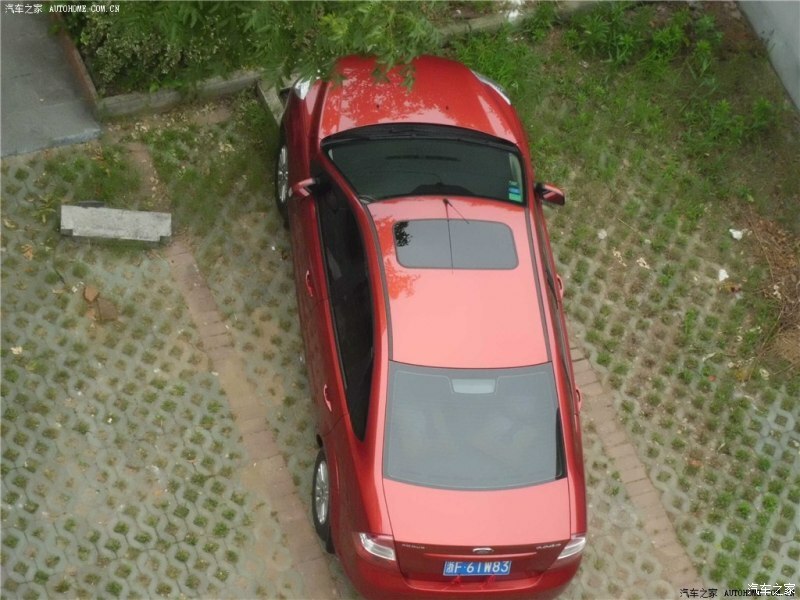 Here's a top view photo I found of the Mk2 Focus online. I like the Mk2 Focus, I was just expecting the interior packaging to improve when they replaced it with the Mk3. Hopefully the Mk4 is roomier at the back. Last edited by AM2; 03-14-2016 at 05:30 PM. Ohmigod, that's hysterical how they just have a print out of the previous gen dash taped onto what I assume is a huge touch screen? I really think that part of the upsizing of the Focus--in addition to the inevitable crash safety improvements--is to spawn a new Lincoln sedan in the next generation of the C-segment Ford products. With the MKZ being too big to battle the Mercedes CLA and Audi A3, killing the lackluster MKZ and replacing it with a new, resized sedan with a name would make sense. Cadillac is going after the CLA. Lincoln would be foolish not to follow suit. Are you sure about that? 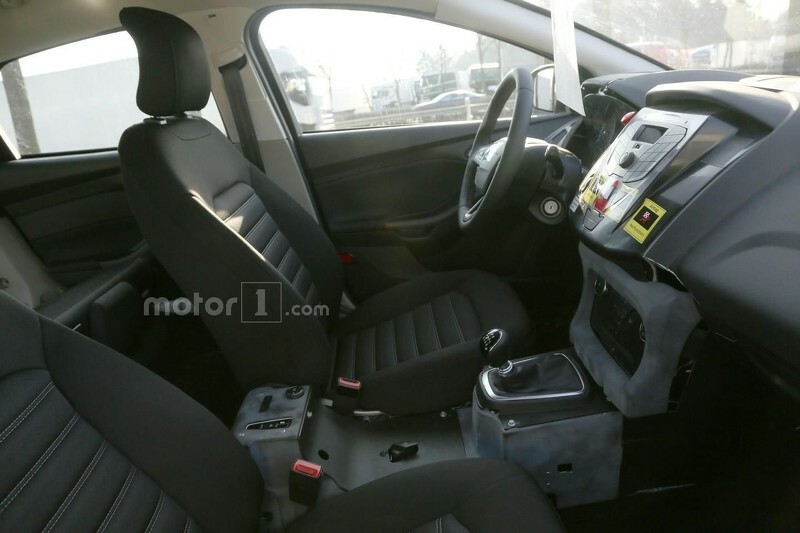 Photos 1 and 4 would indicate otherwise (I assume the interior pictured is a pre-facelift, lower trim model). The top half may not literally be a print out (as I thought at first glance), but I assume it's a faceplate that obscures what's underneath (no air vents?). The lower half of the dash doesn't quite match up, so I'm wondering if there's some stuff from the next-gen model that their trying to obscure. Last edited by paranoidgarliclover; 03-21-2016 at 04:10 AM. Notice screen placement, and the button arrangement that surrounds the screen, distinct from the pre-facelift layout. I'm not sure what Ford its from, but I doubt they'd modify it this much from an old Focus just for a mule. I mean, at the end of a day, its a mule, so that's likely why there are no air vents and why the arrangement is different down below. Very little conclusions can be taken from anything inside at this stage of development, considering it's all tacked onto the current-gen's dashboard. Last edited by pjl35; 03-21-2016 at 01:46 PM.